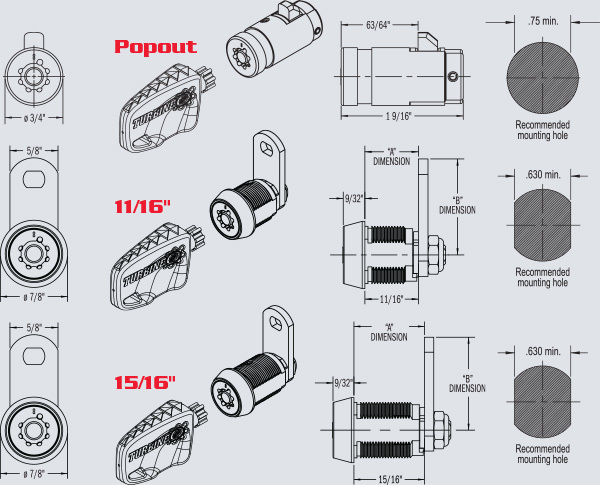 Insert cam part number if it is known. Or specify “A” and “B” dimensions. 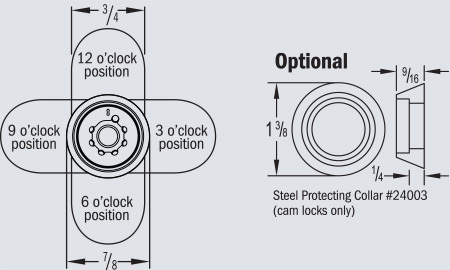 The cam locked position must also be specified. 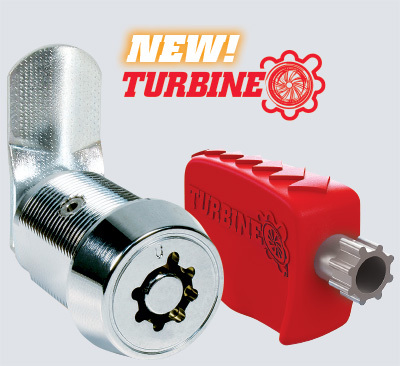 Turbine locks are available in two sizes: 15/16" and 11/16". Call 864.297.6655 to learn more about Turbine locks, the revolutionary new protection against identity theft and skimming.